The Daytona Coupe was an adaptation of the AC Cobra, developed by Carroll Shelby to challenge Ferrari’s dominance of GT racing. The aerodynamic aluminium body designed by Peter Brock allowed the car to achieve a 180mph+ top speed. This slippery body was an essential advantage over the roadster at long circuits like Le Mans and Reims. 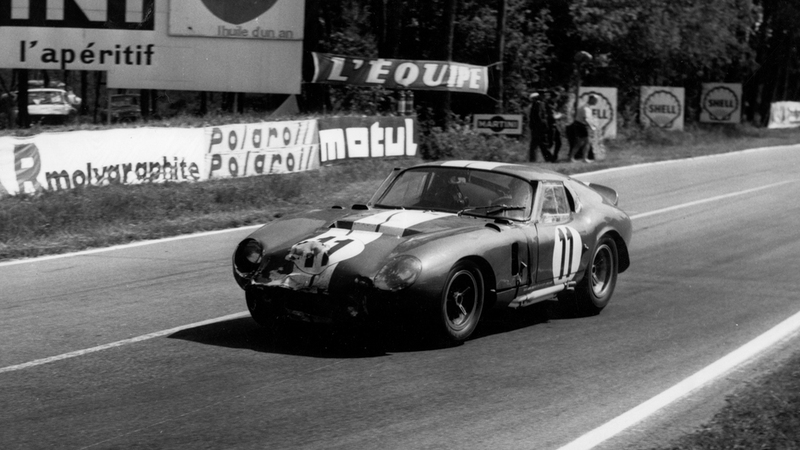 Ford decided to enter the World Sportscar Championship with the Cobras in 1965. 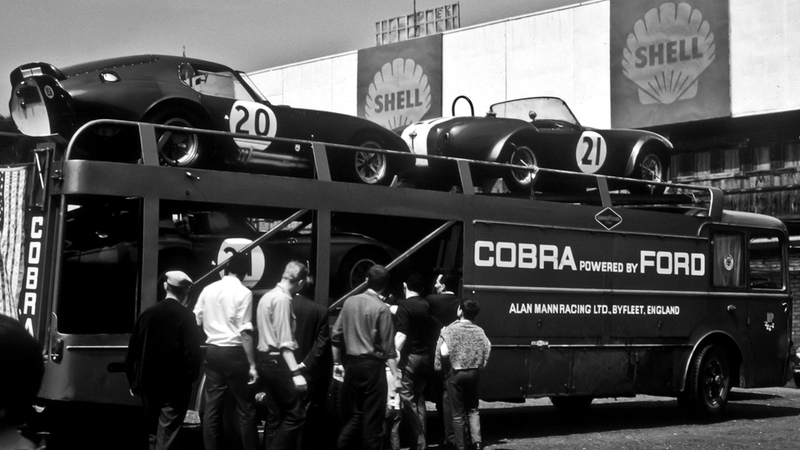 Shelby American ran the cars at the U.S rounds, and Alan Mann Racing ran them at the European ones. The Cobras won the Championship, fittingly clinching it at Reims on July 4th, providing Ford with the first World Championship for an American manufacturer.